Clint Bowyer wishes he was part of the Monster Energy NASCAR Cup Series Championship 4 this weekend in the Ford EcoBoost 400 at Homestead-Miami Speedway. He also realizes his No. 14 Ford team has made significant progress since he started at Stewart-Haas Racing (SHR) in 2017. To appreciate where the No. 14 team is now, it’s essential to know where it’s been. Bowyer replaced three-time champion Tony Stewart in the No. 14 at SHR in 2017. The year saw the Emporia, Kansas native post three second-place finishes on his way to a year-end tally of six top-fives and 13 top-10s. His average finish of 15.5 was 11th best among full-time drivers competing in 2017, and it left him just shy of a spot in the NASCAR playoffs. 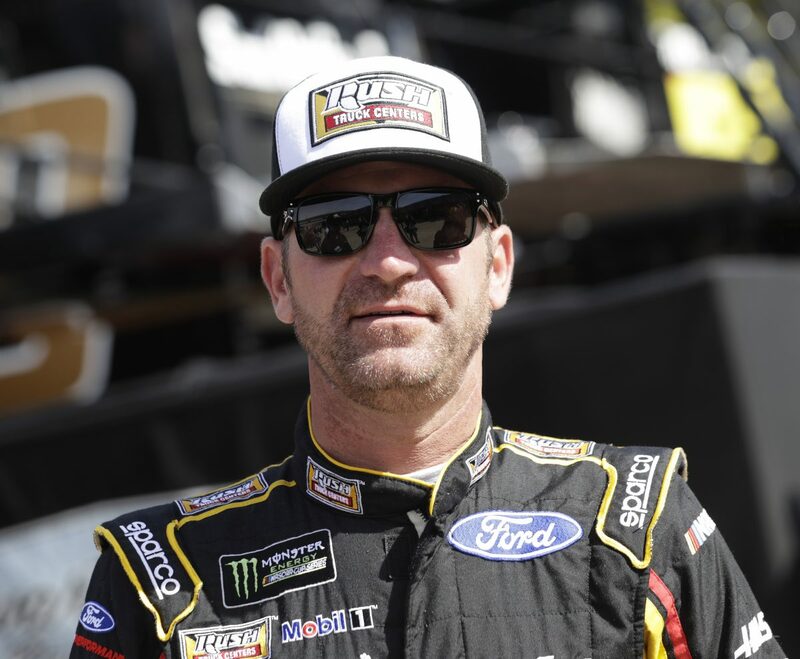 Bowyer was most disappointed the team never made it to victory lane despite a few near misses, but that changed in 2018. The Bugarewicz-led team dominated the March 26 race at Martinsville (Va.) Speedway, leading 215 of 400 laps. Video of Bowyer’s young family running down the front stretch to join him in victory lane celebrating the end of a 190-race winless streak top the season’s highlight reel. Moments later, Bowyer went into the grandstands to celebrate with the Martinsville fans who stayed until the Monday raced that was postponed by rain Sunday. And his 2018 victory lane celebrations weren’t over. On June 10, a Bugarewicz pit strategy to take two tires, then some incredible wheel-to-wheel driving by Bowyer with SHR teammate Kevin Harvick led the No. 14 to prevail by a few feel before rain brought the race to an end. Those laps on only two fresh tires, trying to hold off the hard-charging Harvick with rain clouds closing in, might have been the best of Bowyer’s career. His 10 career victories tied him at 59th on the all-time win list with Sterling Marlin and Donnie Allison. Bowyer’s NASCAR playoffs turned out to be quite a rocky but successful run. An accident in the playoff opener at Las Vegas Motor Speedway left him with a 23rd-place finish and doubt as to whether he would advance to the next round. But a 10th-place finish at Richmond (Va.) Raceway, combined with a third-place finish on the “roval” at Charlotte (N.C.) Motor Speedway, allowed him to squeak into the Round of 12. Hopes for a good start to the Round of 12 vanished with an extra pit stop, combined with a mechanical issue that led to an accident at Dover (Del.) International Speedway and a 35th-place finish. Again, Bowyer rebounded at Talladega (Ala.) Superspeedway with a second-place finish. A 13th-place finish at Kansas Speedway near Kansas City paved the way to the Round of 8. Bowyer’s plans for a good start to the Round of 8 races and a repeat victory at Martinsville fell by the wayside with an ill-handling car and a late-race spin that netted a 21st-place finish. The second Round of 8 race was worse when first-lap contact with Denny Hamlin at Texas Motor Speedway in Fort Worth forced him to the pits for a green-flag pit stop and a 26th-place finish. Knowing the No. 14 had to win at Phoenix, Bowyer raced from 16th to seventh before a cut tire led to an accident that ended his championship hopes. Sunday won’t be merely an “exhibition race” for Bowyer. He’s 12th in points and would like to climb into the top-10 with a good run at Homestead and reward Rush Truck Centers and Haas Automation, the two partners whose decals have adorned the No. 14 most often in 2108 and again this weekend in the season finale. Describe your 2018 playoff run? What will Homestead be like for drivers not in the Championship 4? Would a win this weekend be overshadowed by the championship?